Mollie Dalpae, of Mid City Concerns, which runs Spokane's Meals on Wheels program is the recipient of the Sister Peter Claver Humanitarian Award for 2015. Nearly 105,000 meals are served annually to the senior citizens of Spokane through Meals on Wheels and Mollie's efforts go beyond just meals. Through Mid-City Concerns, she has helped build a community to promote advocacy, education and recreation services for area seniors. Larry H. Miller auto dealership is investing big in Spokane. The automotive company is planning to build new automotive sales and services facilities for its Toyota and Honda dealerships on Third Avenue before the end of next year, in a $20 million project. A new two-story, six million dollar Toyota dealership at 1208 W. Third with 50,000 square feet of floor space is moving to 1125 W. Second. Honda and Toyota Scion are trading places, while the Honda dealership is operating in a temporary facility across the street from its future home. The company just finished their new Lexus dealership at 1030 West 3rd. 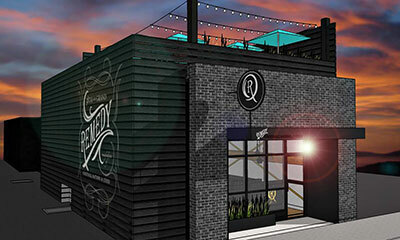 Spokane entrepreneurs Josh Hissong and Matt Goodwin are developing a new restaurant and bar in the former South Grand Cleaners building at 3809 S. Grand. The building is undergoing an extensive remodel for their new venture, Remedy which will be open as early as December. HDG architecture is doing the design and Jed Conklin is in charge of construction. Branding was developed by Brittany Stodgell of Propaganda Creative. Becker Buick GMC, at 600 E. Sprague, is in the process of converting their body shop into additional service bays to accommodate an increase in service department business. Thanks to Warranty Forever and an increase in new and used car sales, this move was necessary to service Becker's service needs. Becker expects the expanded service facility to be fully operational by the end of the year. Spokane Community College has been awarded $2,046,471 over five years to support college initiatives devoted to increasing student success and completion. The grant, entitled the EPIC Project: to Engage, Prepare and Intrusively Advise Students to Completion is part of the U.S. Department of Education's Title III, Strengthening Institutions Program. SCC will use the funds to establish an effective advising program focused on five key student momentum points and an online student advising system; implement a required college success course for new students which will result in the development of an educational plan for each student; enhance tutoring services with a CRLA certified tutor training program; and increase faculty-student engagement through the development of a Teaching and Learning Center (TLC). The U.S. Department of Education program helps higher education institutions expand capacity to serve low-income students. The majority of SCC students are low-income (63 percent) and first-generation college students (65 percent). The overall goals of the EPIC Project are to establish high-impact interventions around each step in a student's journey to successful completion of their college degree and ultimately their long-time educational plan - whether that be transfer to a four-year institution or workforce training that leads to gainful employment. As the dust from the UW/WSU 'medical school wars' settles, Southside Senior and Community Center, at 3151 East 27th Avenue, just north of the Lincoln Heights Shopping Center, will present Washington State University Chancellor Lisa J. Brown and Dr. Deb Harper as featured speakers at the second Community Leadership Breakfast Wednesday, November 4. Bringing their expertise and knowledge of health care, Chancellor Brown and Dr. Harper will discuss a broad range of issues. Topics include the history and status of the WSU medical school, health coverage issues, the future of health care in the region, and more. Their presentation will conclude with a question and answer session. Breakfast begins at 8am. The cost of $25 includes a served breakfast. For tickets, call 509-535-0803, and ask for Community Breakfast tickets. Seating is limited so purchase tickets early. The HUB Sports Center presents two Super Heroes tournaments, Saturday October 24, with a portion of the proceeds benefitting Pediatric Oncology at Sacred Heart Children's Hospital. A Pickleball tournament starts at 8am, in a blind draw, round robin format. Cost is $35. Register by October 16 at hubsportscenter.org/pickleball. Dodgeball starts at noon with three divisions: Middle School, High School and Adult. It's a great company team building event opportunity for your business. Cost is $75 per team of 6 to 8 players. Best 3 out of 5 in 25 minute matches. Dress as your favorite super hero or villain, but the use of super powers are not allowed during play. To register and for more information go to hubsportscenter.org or call 509-927-0602. The Design Steering Committee, a group of community members, Park Board, and City officials, has recommended Stantec as the team to design the Recreational Rink & SkyRide Facility for the new Riverfront Park. The Park Board will make the final decision regarding the Recreational Rink & SkyRide Facility design team by the end of 2015. The decision will be based on the Design Steering Committee's recommendation, reference checks, community feedback, and successful contract and cost negotiations. The selected Recreational Rink & SkyRide Facility design team will work closely with the Design of Public Spaces and Park Grounds (landscape design team), the Berger Partnership and Parks and Recreation staff to develop a plan for summer programming in the Recreational Rink space. The Recreational Rink will be located in the Gondola Meadow (near the corner of Spokane Falls Blvd. and Post St.). "Stantec was recommended by the design Steering Committee largely because of their extensive experience constructing ice rinks throughout North America," said Park Board President, Chris Wright. "During the interview process, their team clearly demonstrated a unique and far-reaching understanding of the Redevelopment Project and knowledge of how to create a user-friendly and innovative recreational rink." Stantec has more than 15,000 employees in over 250 locations, including an office in Spokane. Stantec's services focus on professional consulting in the areas of planning, engineering, architecture, surveying, environmental sciences, project management, and project economics. Since 1974, Stantec has completed more than 200 ice projects in 40 states and provinces throughout North America. Their range of projects includes everything from small mountain resort rinks, to community based arenas, to large outdoor/indoor skating venues. The Riverfront Park Redevelopment's 18-member Design Steering Committee is responsible for interviewing, scoring and recommending finalists to the Park Board for each of the five major design elements of Riverfront Park. The five major design elements include the Public Spaces and Park Grounds (landscapes), the Recreational Rink & SkyRide Facility, the Looff Carrousel building, the U.S. Pavilion and Shelters, and the Regional Playground. Beth Crossman has been hired as an event and marketing coordinator by the Washington Agriculture and Forestry Education Foundation. The Inland NW Business Travel Association is holding their annual Harvest Moon & HalloWine Auction this Friday, October 16, from 5:30 to 9pm at the Mirabeau Park Hotel & Conference Center. Cost is $45 a person. For tickets and more information, visit www.inbta.org . Monster Bash featuring Sammy Eubanks, is at the Red Lion Hotel at the Park Halloween night at 8:30. Reserved Tables are available for parties of 8 or more. There's a $1000 prize for the best costume. Ticketswest has your seats. Winston & Cashatt's principals recently voted in Timothy R. Fisher and Lisa A. Malpass as the firm's newest principals. Fischer brings to the firm a strong background in bankruptcy, real estate, commercial litigation, and corporate transactional work. Malpass joined Winston & Cashatt, Lawyers in 2014, bringing more than a decade of experience in the areas of guardianship, including appointments as a Title 11 Guardian ad Litem; simple estate planning, with occasional Medicaid planning and social security administration disability; probate; and vulnerable adult protection order and defense of DSHS administrative actions. 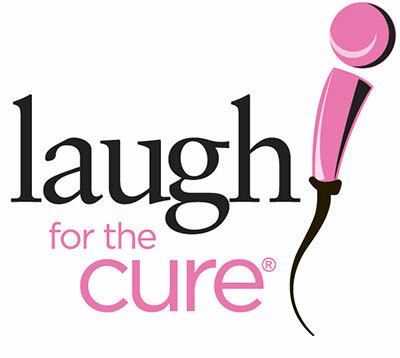 The Susan G. Komen Eastern Washington Affiliate presents the 4th Annual Laugh for the Cure, this Thursday, October 15 from 5 to 9 pm, at the Lincoln Center. It's an evening to help raise awareness and funding for breast health programs in our community. This fundraising event will feature heavy appetizers, raffles, silent and live auctions, wine-pull and a hilarious stand-up comedy show featuring two of the finest comedians touring today. 75 percent of the money raised stays in our 14 county service area to support and provide invaluable services and resources, while the remaining 25 percent is dedicated to groundbreaking research to find a cure. 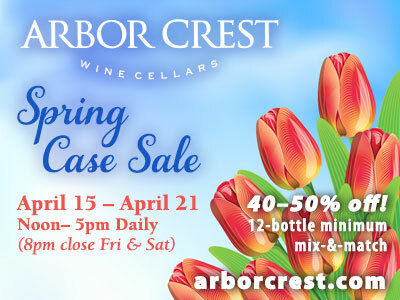 Get your tickets now at www.komeneasternswashington.org or call 509-315-4715.